Mailbox for Android: (from left to right) auto-swipe (long press), auto-swipe suggestion, drawer. Dropbox just announced that it is releasing Mailbox for Android and Mac OS X. 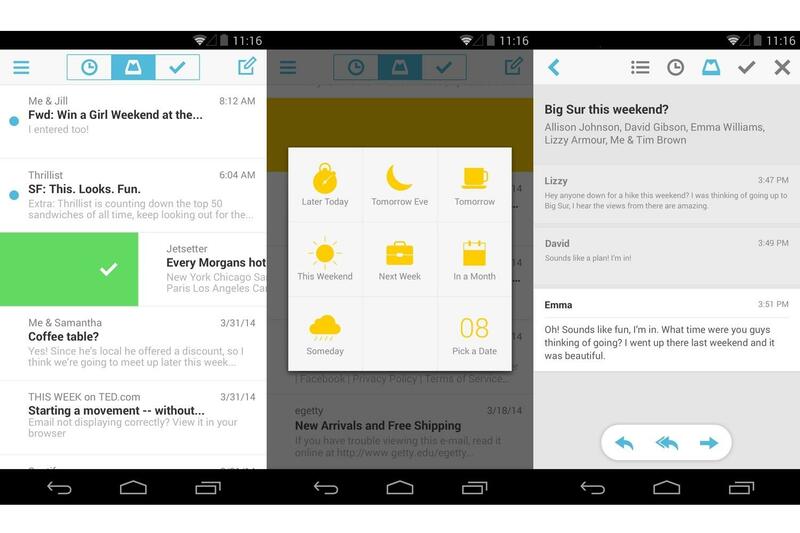 The Mailbox mobile app, which was previously only available on iOS devices, is now available for free on the Google Play Store and as a beta for OS X.
Mailbox’s Android version has a redesigned inbox and retains the usual features in the iOS app. You can mute conversations, snooze messages (archive and set it to reappear in your inbox at a later time), and route certain types of messages to a list. For the Android app, Mailbox also introduced the “auto-swipe” feature. It monitors the types of messages that you designate for archiving and snoozing. When set, the auto-swipe feature not only archives and snoozes certain messages, it also automatically executes the same actions on emails of the same type. This is remarkable, especially when you’re tired of getting emails about people’s cats. So far, the auto-swipe feature can only be found on the Android version of the app. However, we expect this to eventually make its way over to iOS and OSX. If you want to use the popular email client on your OS X desktop/laptop, the experience may not be as fluid. However, it might be worth the minor hassle, since Mailbox relies heavily on the trackpad for executing gesture-based commands. This mirrors the convenience of its mobile counterparts, albeit in a manner that requires more dexterity. If you’re sold on the idea of Mailbox on your laptop, you can sign up for the upcoming beta here. (From left to right) Swipe archive, swipe to snooze, and email thread.